flower school: NEW SUMMER CLASSES! 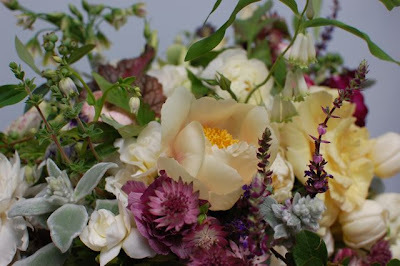 We'll cover how to choose, handle and arrange flowers in this basics class inspired by the wild blooms of late summer. Clover, celosia, dahlias, agapanthus, echinacea, hydrangea, chamomile, grasses, thistle, nigella, scabiosa, flowering herbs, lavender and more! Each student will make a lush & wild arrangement to take home along with a pair of clippers. Class will end with a champagne toast and treats!